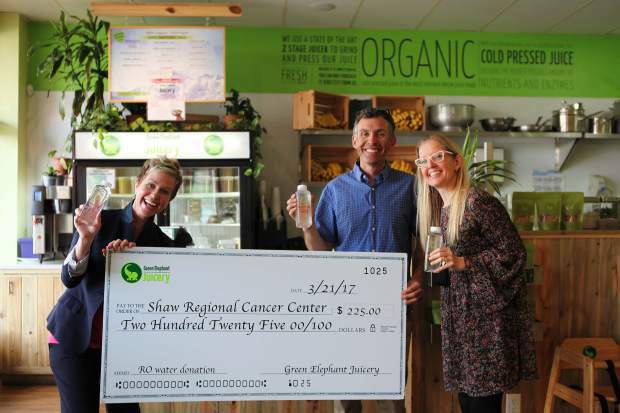 Shaw Regional Cancer Center would like to thank Green Elephant Juicery for donating $1 from each bottle of their Reverse Osmosis H2O sales to the cancer center. The Reverse Osmosis water treatment process removes foreign contaminates and minerals from our water system, bringing back water to its purest forms. Shaw greatly appreciates the support of local small businesses like Green Elephant â thank you.